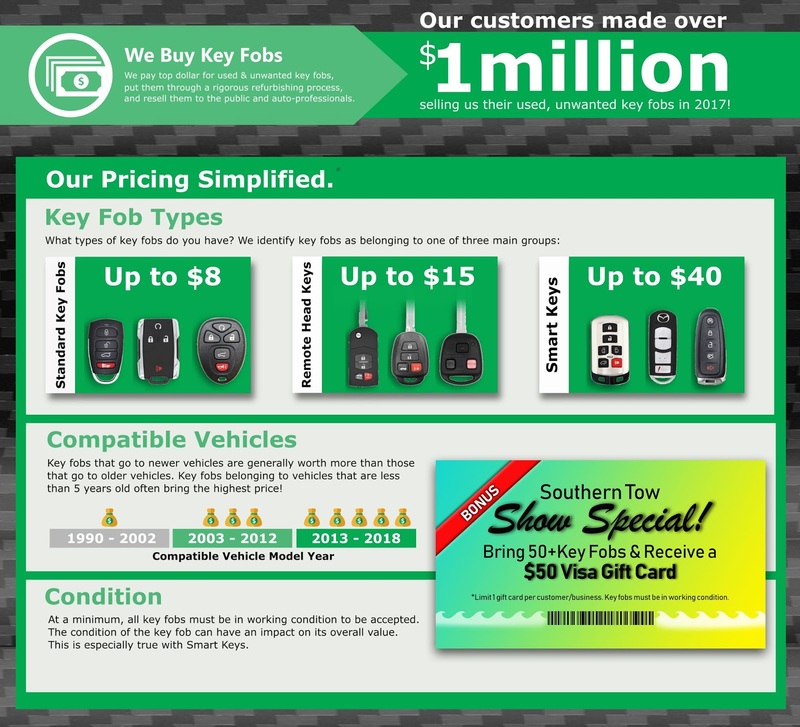 We are paying Cash for key fobs at the Southern Tow Show. Do you have extra key fobs laying around? Bring them to the Southern Tow Show and we'll pay you in CASH! *Limit one per customer/business. Key fobs must be in working condition. We're excited to be coming to Orange Beach and hope to have an opportunity to meet you there! Swing by booth 210 to learn more about who we are and what we do and enter to win a Bradley Smoker! How much are you key fobs worth? 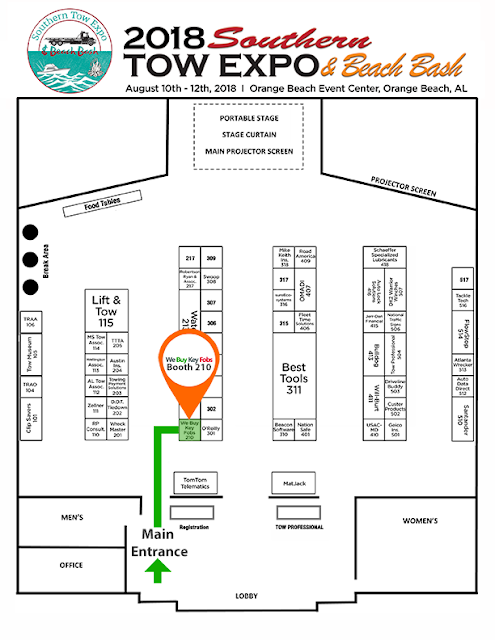 Follow the map below to find us at the show.